Tiny House Expedition Radio , online radio show bringing you the latest in tiny house news & stories from inside the movement , broadcast LIVE from inside a tiny house! Brought to you by LAMB Radio. And broadcast from LAMB Radio creator, Mark David Smith's tiny home! He built it basically by himself at 61 years old and in only 6 months. Over the last year, we've travelled almost 25,000 miles with our tiny home on wheels. That's a lot of miles and a lot of learning! We share our experience of what it's really like to travel with a tiny house. Definitely an amazing adventure but there's much to consider before hitting the road. Episode 7: What Do a Traveling Tiny House, a New Children's Book & a Veteran's Tiny House Village have in Common? Eight months ago, we first met Kevin Polk in southern California, and his life partner and children's author, Susan Bernardo. It was the beginning of a synergistic relationship. We are traveling North America to discover and document the community experience of the tiny house movement. The most epic of road trips, a tiny house road trip. When Susan met us and toured our tiny home, she was filled with inspiration. "Has anyone ever written a children's book about tiny houses?!" During the same time, we were interviewing Kevin about his new ambitious housing project, Makes A Village. This project applies permaculture principles to the issues of affordable housing and unemployment. Since we first met, Kevin and team have built their first prototype tiny home and are have made headway with local municipalities in Southern California to site their first village. We're lucky to document some of these exciting updates. Susan has also since written The Big Adventures of Tiny House. Several passages are directly inspired by our tiny house and our adventures. Hear an excerpt read aloud by Susan on our very own tiny porch! Now Susan and her partner and illustrator, Courtenay Fletcher are crowdfunding to publish this heartwarming book.A portion of proceeds will go to benefit Makes A Village's first tiny home community. A tiny house with a BIG purpose. The illustrious Vina Lustado of Sol Haus Design and the Tiny House Collaborative is an incredibly talented and humble tiny house designer, builder, dweller and advocate. Not only have her sustainable tiny house designs gone around the world, she has help lead up major advocacy efforts in Ojai, CA. In fact, Ojai is on the doorstep of being the second Californian city to adopt tiny house on wheels friendly zoning. But that's not enough for Vina; she wants to help further zoning progress across the country. In our latest episode, Vina shares all about her tiny living philosophy and her dedicated advocacy efforts in Ojai and now Ventura County, CA. Join Vina, Lee Para of Boneyard Studios and Lina Menard of Simply Home Community this weekend! The illustrious Andrew Morrison is an experienced builder, consultant and motivational speaker, perhaps best know for his "hOMe" tiny house design. He has been living tiny for several years and has been a leading tiny house movement aross the country and even in other countries, like Brazil. Now Andrew is taking on a monumental challenge; a proposed tiny house code for the International Residential Code (IRC). Andrew tells all about what went into making this exciting opportunity possible, including how a mystery man's failed tiny house proposal made way for this new, expedited proposal. And for all of us building tiny houses, it means that we will have a guidepost to building safe and healthy homes with a certificate of occupancy at the end of that road. Four years ago, Trailer Made Trailers fell into the tiny house industry through an unexpected trailer request from a new builder, Byron Fears of Simblissity Tiny Homes. Since then, they have become the leading tiny house trailer manufacturer in US. Natalie and Damon have completely fallen in love with the movement and have become dedicated advocates, working with cities and non-profits from around the country. They have seen first-hand the positive life-changing effect that tiny home ownership can have for their customers. For them, their work is much more than trailer manufacturing. They are creating foundations for people's homes and for their next brave phase in life. Lisa Kuneman, long-time housing advocate, knows the importance of mixing conversation starters on complex issues with a good party. Enter the upcoming Tiny House Fest Vermont; it's more than a festival. 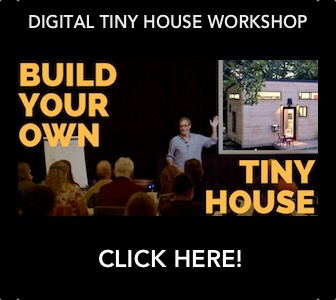 It's a community-wide conversation on the many approaches and benefits of tiny housing mixed with engaging workshops, film screening, tiny house tours, and a dance party! Lisa shares a fresh-perspective on the New England's green building initiatives, and the possibilities that tiny houses open up. From the the Netherlands to the Tiny House Jamboree, and making tiny house movement history! Friedda Bakker traveled around the world to find her tribe at the first ever Tiny House Jamboree, the world's largest tiny house gathering. There she inspired the infectious #FamousFrieda hashtag, and became good friends with Jam founder and EcoCabins CEO, Darin Zaruba. Yes, the movement is now worldwide. Approval for full-time living at his new park model and tiny house community, Whispering Aspen. The first tiny house residents just moved in! EcoCabin's Bunkaboose tiny house will be available on SamsClub.com, very soon! Meet the tiny houser hosts and radio producer! 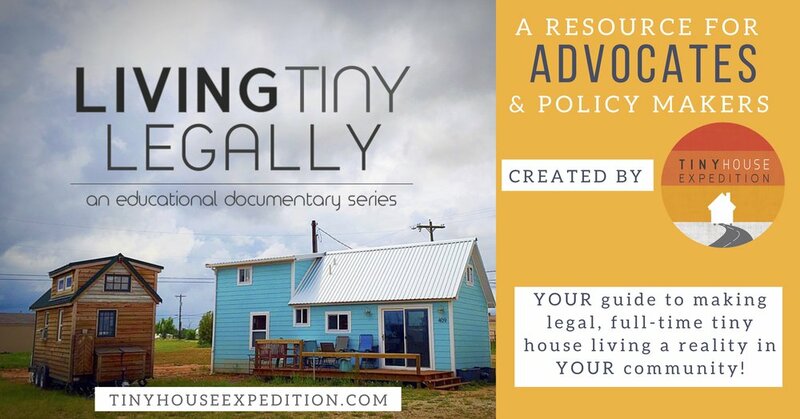 Who is Tiny House Expedition anyway? Meet Alexis & Christian; they're filmmakers, tiny housers, advocates and epic roadtrippers. They have travelled 20,000 with their tiny home, over the last year. Meet radio station owner and producer Mark Smith. Learn all about his DIY build and DIY certification via Pacific West. At 61 years young, Mark built his tiny home, by himself, in only six months!